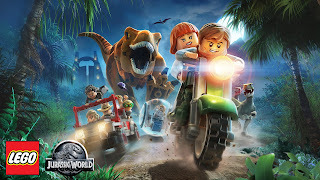 Warner Bros. Interactive Entertainment, TT Games, The LEGO Group and Universal Brand Development today announced the release of LEGO ® Jurassic World™ for the iPhone, iPad, iPod touch and Android devices, available now on the App Store and Google Play. For the first time ever with a LEGO videogame, players can use Apple’s 3D Touch controls to enhance their experience. 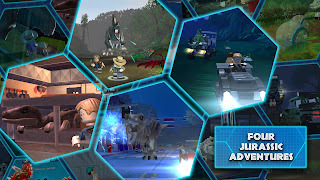 The action-packed adventure game brings the excitement of all four Jurassic films to one mobile game for the first time, spanning more than two decades of epic films from Universal Pictures and Amblin Entertainment, including Jurassic Park, The Lost World: Jurassic Park, Jurassic Park III and the recent box office blockbuster Jurassic World. 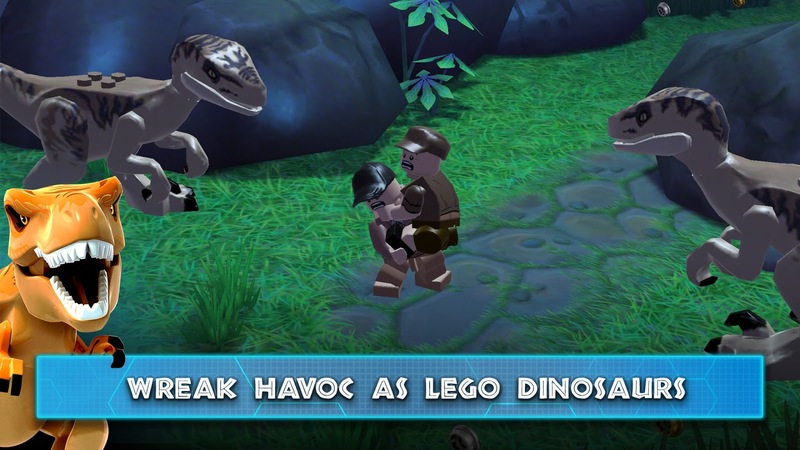 Reimagined with TT Games’ signature LEGO humour, the thrilling adventure recreates unforgettable scenes and action sequences from the films, allowing fans to experience for themselves the franchise’s most memorable moments and the opportunity to fully explore the expansive grounds of Isla Nublar and Isla Sorna. In LEGO Jurassic World, players can take on the roles of exciting Jurassic film characters, such as Owen Grady (Chris Pratt), Claire Dearing (Bryce Dallas Howard), Ian Malcolm (Jeff Goldblum) and Dr. Wu (BD Wong), throughout 20 story levels on a mission to collect precious amber containing dinosaur DNA. 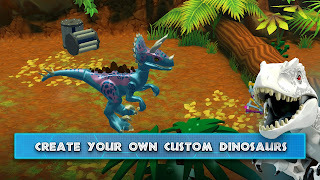 Players can use the DNA to build their dino collection, mix their pieces to create an original species with the Dino Customiser by mixing and matching colour, body parts and abilities or fill the giant footsteps of the LEGO dinosaurs and actually play the game as the beasts themselves! LEGO Jurassic World is rated 9+ and is now available for £3.99 on the App Store for iPhone, iPad and iPod touch and Google Play for Android devices.